Only six weeks to go until Christmas, and that can only mean one thing – time to close out the GB9 season with the 2018 British Grand Prix. All eyes were on the £1250 first prize and the small matter of the British Grand Prix trophy – not a bad stocking filler for the deserved winner! The stage was set, the players ready. 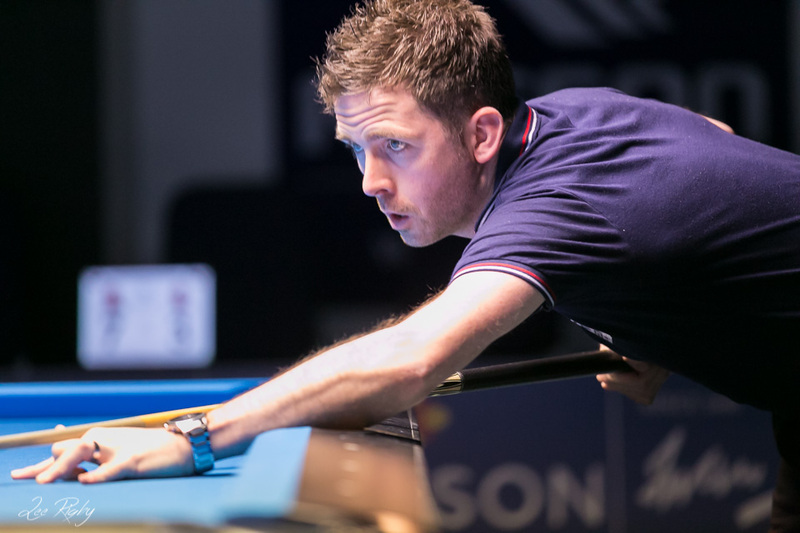 All eyes were on Karl Boyes to see if he could be the first man in GB9 history to achieve the GB9 Grand Slam and increase his winning streak to an incredible 6 titles. Imran Majid, Mark Gray and Daryl Peach were among those with other ideas. KARL BOYES took his tally of GB9 Main Event victories to 7 with his victory in the 2017 British Grand Prix, his fourth straight success in GB9 events he has entered and third successive event. KARL BOYES continued his impressive display at GB9 events at the Southern Masters, blowing away the competition to take down his third consecutive GB9 Event victory. Details for the 2018 GB 9 Ball Tour have now been released, including details of the event format, estimated prize money and entry fees. Click below to find the full details. I would like to make all GB9 members and other potential single event entrants aware that, due to unforeseen circumstances, the 2017 British Grand Prix that was originally due to take place on 24-26 November 2017 has had to be rescheduled to now take place on 17-19 November. I realise this will be a disappointment for any players due to attend the Treviso Open Eurotour on the same dates, as you will now be unable to attend the GB9 event due to this move. I would like to assure you that any confirmed entrants into the overlapping Eurotour event will receive a pro-rata refund of your membership fee following the event. For other players who are not anticipating entering the Treviso Open, I hope making this announcement this far in advance will not adversely affect your ability to attend the British Grand Prix. Once again I would like to apologise for any inconvenience this causes our members. If you would like to discuss this any further, please contact me directly.